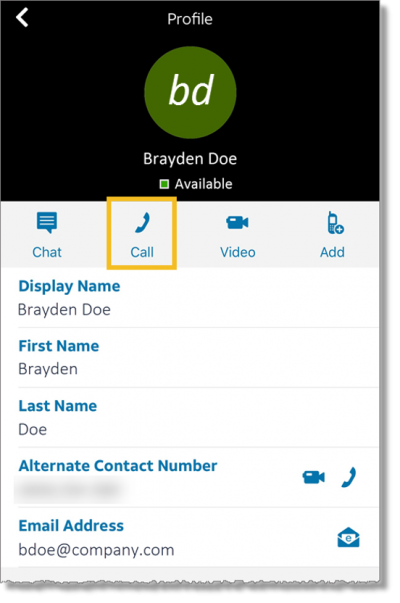 With Click-to-Call you can easily contact other AT&T Collaborate users in your organization or call an external number, all directly from the Collaborate app. 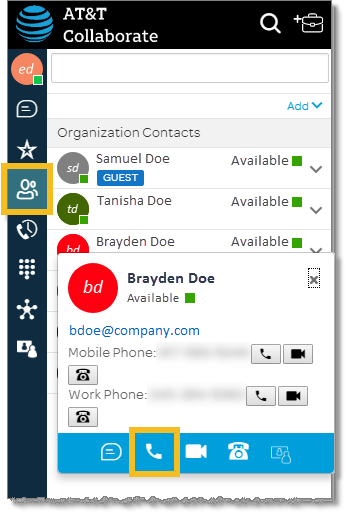 You can call an internal Collaborate member from a workspace you share with the member. 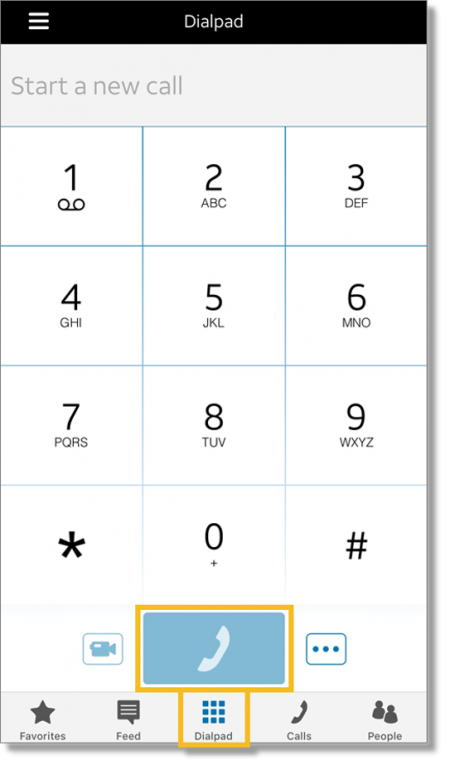 The phone number used to pace you call is shown in the profile section of your user settings. In the panel on the left, click the People icon , and then search for the user you want. Click the user you want to call. Their personal profile appears. Click the Call icon at the bottom of the profile window. The call will be placed to the number in the member’s profile. 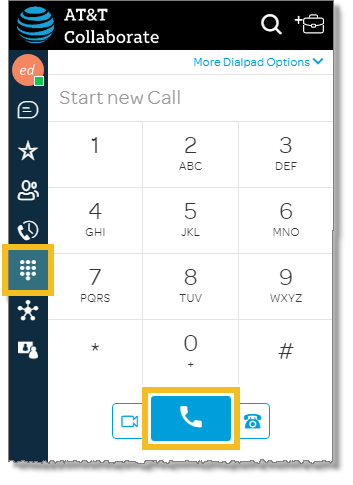 Use this option to call people who either don’t have a phone number saved in their Collaborate personal profile, or who aren’t members of your organization. In the panel at the left, click the Dialpad icon . Enter the phone number you want to call. In the menu, tap People, and then search for the user you want. Tap the user you want to call. Their personal profile appears. Tap Call in the menu. The call will be placed to the number in the member’s profile. In the menu, tap Dialpad.